A well-mannered dog makes the best adventure partner. We coach dog handlers and owners through the entire training process in order to facilitate long-term communication and lasting results. We start with the most current concepts in canine learning theory and add real-world training and handling experience to deliver effective, family-friendly techniques that empower both you and your dog. We take a Least Intrusive, Minimally Aversive (LIMA) approach, adhering to the humane hierarchy as adopted by the Certification Council for Professional Dog Trainers, and to all position statements by the American Veterinary Society of Animal Behavior. Harenhaus K-9 serves the Triangle of North Carolina, including Chapel Hill, Pittsboro, Durham, Cary, Apex, Raleigh, and surrounding areas. 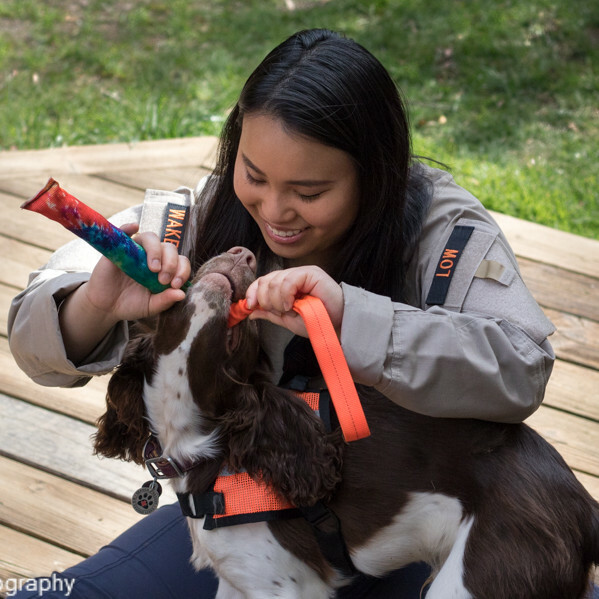 My primary interests lie in training working dogs and enhancing the human-animal bond within all types of human-canine relationships. Since training my first therapy dog in 2004, I have been involved with numerous shelter and rescue organisations, as foster mom, dog walker, and obedience instructor. I am currently operational with Wake Canine SAR. We love hearing from our current, former, and prospective clients!